When we have questions about God or want to discuss the Bible with other people, it can be difficult to know where to go and who to talk to. However, there are a multitude of resources available at PUC. Of course, you can always talk to our campus chaplain Jonathan Henderson ((707) 965-7191; jhenderson@puc.edu) or any of the pastors at the PUC Church (their contact information is on the church’s website). Then there is PRSM, which stands for peer-led, relevant, small-group ministries. You can contact the student chaplain Amber Sanchez ((707) 965-7190; alsanchez@puc.edu) about joining or starting one of these groups. There are also dorm worships every week, both for your hall and your specific floor (you can go to other dorms’ and floors’ worships too). You can look at the worship calendar on the PUC Ministries website to find out what events are coming up and what groups are meeting soon. This is just a small selection of what’s available. There are also things like bibliographies compiled on church history, theology, etc. to help you with your research and the Adventist Archives containing everything from General Conference Committee meeting minutes dating back to 1975 to a slideshow about the Millerite movement to Adventist periodicals from around the world. This is a Christian institution of learning—research on religious topics is PUC’s specialty! And if you don’t know where to start, ask a librarian for help. They’re there for a reason. However, studying the Bible shouldn’t feel like studying for your classes. Your relationship with God can be enriched by a deeper understanding of the Bible and theology, but there are many other ways to get to know God better or to strengthen your relationship with Him. Pray to God for guidance and do what works for you. That could involve being part of a small group, asking a pastor questions, talking with your friends, researching ancient Hebrew culture, spending time singing hymns, or a thousand other options. It could also involve combinations of activities. Your relationship with God is deeply personal and works in a way specific to you. God is your friend, not an exam for which you need to prepare. However, you come know Him better and more intimately is great and should be pursued. 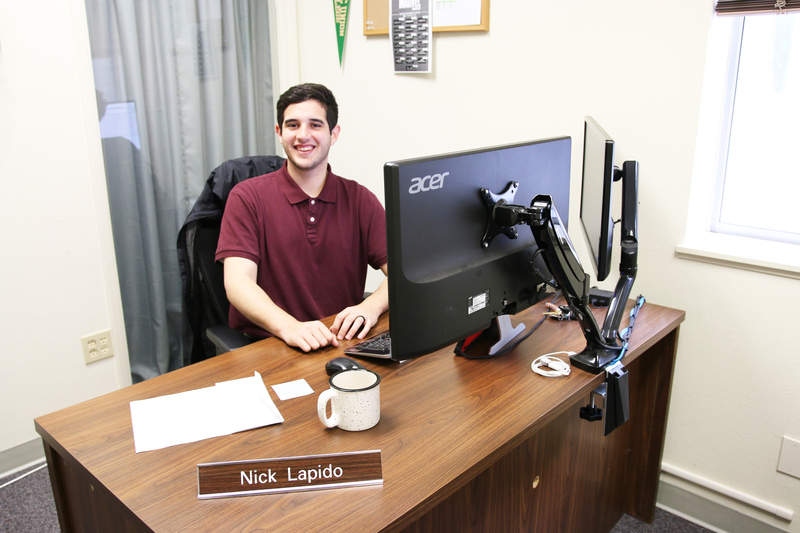 This week, meet the team’s newest member, Nick Lapido! You already have a background in admissions. Where did you work previously? I was at Southern Adventist University before coming to PUC. I was not a recruiter there, but I worked very closely with them as a prospective student finance advisor. That position had me working in the recruitment office, where I was involved in college days, giving campus tours, and meeting prospective students, among many other things. That background helped a lot when coming to the enrollment office here at PUC. What brought you to PUC? A lot of things kept falling into place and lining up. It became impossible to deny God wanted me here. I remember meeting Jennifer Tyner in Tennessee, where we got the opportunity to speak about PUC, and from that conversation God just started opening the doors to give me the privilege to be a part of this team. You spent the last several months working as a student financial counselor here at PUC. How do you think that benefits you in your new position as an enrollment counselor? It acquainted me with PUC, the great community that we have here, and really helped me to understand the inner workings of what it means to be a student here. I believe that insight and perspective will be of great use when it comes to being an enrollment counselor. I know I will be forever grateful for having had the opportunity to work side by side with the finance team and having been able to build lasting friendships with them. So far, how are you liking living in Angwin and working at PUC? I’ve really fallen in love with PUC and Angwin. I’ve been to about 40 of the 50 states, lived on both coasts, and I can tell you that there truly is no place like it! As soon as you start heading up the hill, you are completely immersed in what looks like a whole other world. The rich, dark green of the pine trees, the mountain air, and magnificent view are to die for! I remember the day my wife and I first got here, we pulled over to a lookout point on our way up the hill. Below us, you could see the forest scenery stretching out as far as the eye could see, and it was absolutely breathtaking! Being able to be a part of this community and live in this environment never gets old—it never ceases to amaze me. I definitely call Angwin “home” now, and wouldn’t trade it for the world! Besides the sheer beauty of this area, I would have to say my favorite part about living here is that it has something for everyone. We are located just far enough away from big cities to where it feels like a mountain wonderland where one can escape to. On the other hand, San Francisco is just a quick drive away, and there seems to be more and more to explore every time! My favorite spot would definitely have to be the back 40. Almost every Sabbath, my wife and I hike the trails after church. Seeing the streaks of light go through the tall trees as you walk through the trail brings such beauty to Angwin. It feels like one is transported to a different place, and it’s crazy to think we get to enjoy all of it here! This is a hard one! I don’t know if I can pick a “favorite,” there are so many options and places to explore that I’ve only made a very small dent on the list. I will mention, though, if you are looking for a great place to have breakfast in the valley close to PUC, look no further than Gillwoods Cafe! Also, if you have any suggestions as to where I should eat next, let me know, there are too many to count! I’m currently reading “Capital Gaines” by Chip Gaines. I am fascinated by books that give further insight into the lives and relationships of people, which is why autobiographies are my favorite types of books, I would much rather get to know people than deal with abstract facts on a page. Before that I was reading through “Total Recall” by Arnold Schwarzenegger and “Steve Jobs” by Walter Isaacson. What are you most looking forward to in 2018, both professionally and personally? I am looking forward to settling in more in the area and becoming a more active part of the community in Angwin. The biggest goal for me, both professionally and personally, is to grow. I know that sounds like a cliché, but what I mean by that is to step out of my comfort zone more, to not limit myself, and to establish and nurture relationships with others. I may not know exactly how “growth” will be manifested, but I hope to see positive differences in my life, and hopefully help make positive impacts in the lives of others. The biggest piece of advice I could give an incoming freshman (or anyone for that matter) is to strive to grow in our relationship with God and to allow Him to lead our lives. Throughout life, we are going to experience a lot of change: we will grow (in age, literally, and as people), we will move, experience different places, work in different environments, and build relationships with people. Sometimes it can seem that the only constant is that there is no constant, and things can be in flux. However, when we make God that constant, when we grow closer to Him, we will be able to handle whatever life throws at us, and hopefully come out on the other side as people who were changed and grown for the better. Meet Christy Mantz, instructor of social work and service-learning coordinator at PUC, for this week’s #FacultyFriday. 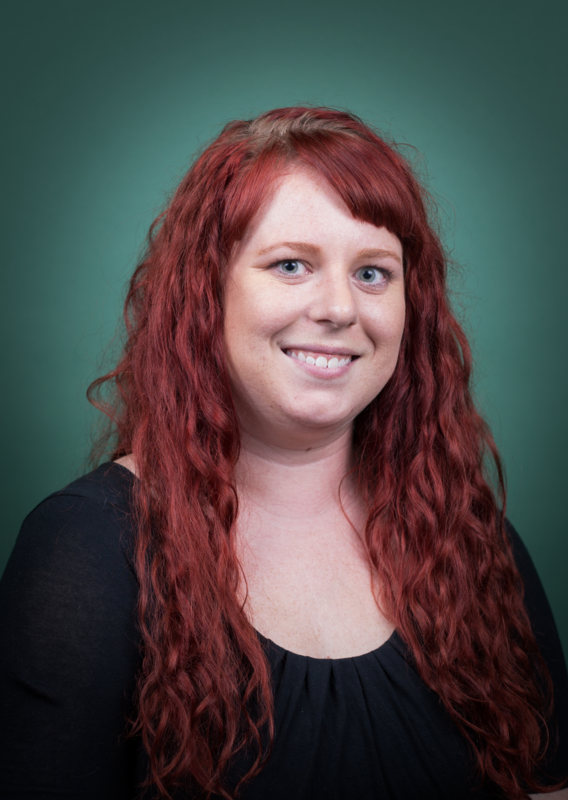 Ms. Mantz has taught full-time at PUC since 2016, after teaching at the college during the 2009-2010 school year. Previously, for several years she worked as a senior probation officer for Napa County, after working as a deputy probation officer and probation assistant. A resident of Napa County for nearly 14 years, Ms. Mantz has worked with a wide variety of non-profit and community based organizations, and continues to collaborate with local programs to manage PUC’s service-learning program. Always interested in work with youth and families, she has worked collaboratively with school officials, drug court programs, child welfare, foster families, substance abuse treatment centers, and a variety of residential treatment facilities across Northern and Central California. Classes taught: Intro to Social Work, History and Philosophy of Social Welfare Institutions, Human Behavior in the Social Environment, and Social Welfare Policy. I also coordinate the service-learning program at PUC, so I develop relationships with community agencies in Napa and Lake counties, and support faculty as they incorporate student projects with these agencies into their syllabi. While working for the Napa County probation department, I became a trainer and discovered how much I enjoyed teaching others something new. I get excited about learning, and am thrilled to be able to share my passion for serving others with students. Reading, crocheting, scrapbooking … I’m a real thrill-seeker! I make nail polish and appreciate nail art—I’ve had my own tiny business since 2012! I appreciate the open, supportive learning community the faculty, staff, and students at PUC create. The grassy knoll at Maxwell Commons: the view is spectacular whether the sun is shining or the low clouds have rolled in. “Evicted” by Matthew Desmond. He’s a sociologist who lived among the impoverished in Milwaukee, detailing their struggles with housing and systemic oppression. He then poses ideas for housing assistance improvements that make sense! Whether you decided on your major and professional path years ago, or you come to PUC and rediscover yourself, there are supportive people on “The Hill” excited to see you succeed! My name is Stefaan and I spent last year studying abroad in Spain, through the Adventist Colleges Abroad program at the Escuela Superior de Español de Sagunto (ESDES). As a photography major with a love for sharing the world around me, I’ve been asked to share some of my adventures here on PUC’s Admissions blog, for anyone interested in the ACA program. Here are 11 of the most representative shots from my year in Europe. To see more of my favorite photos, visit stefaanconrad.com. 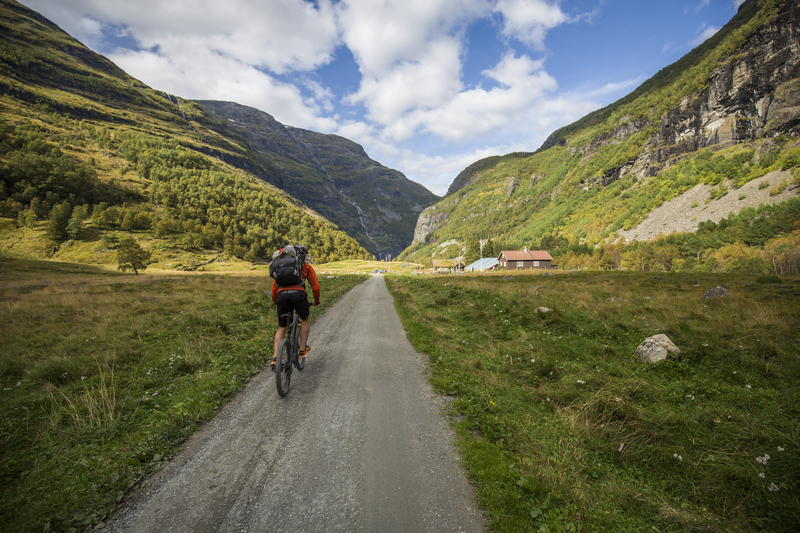 Mountain biking from the Norwegian highlands down to the end of a fjord. 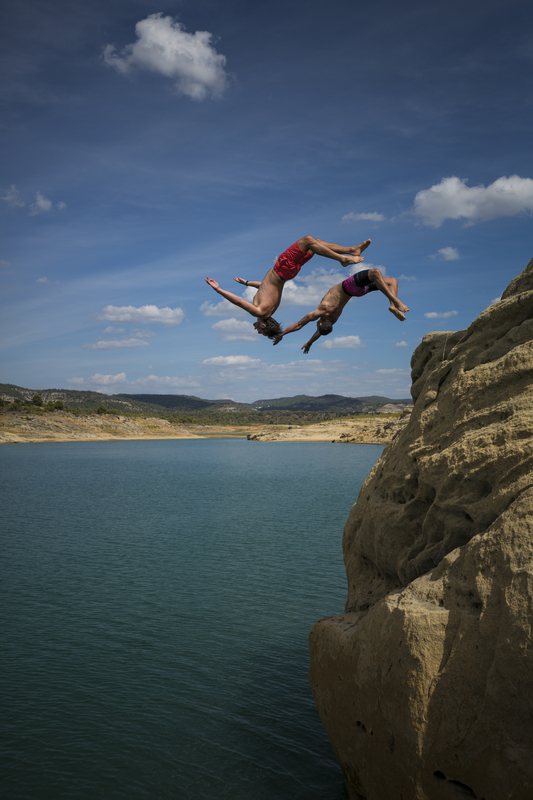 Cliff jumping on the school camp meeting weekend in Central Spain. 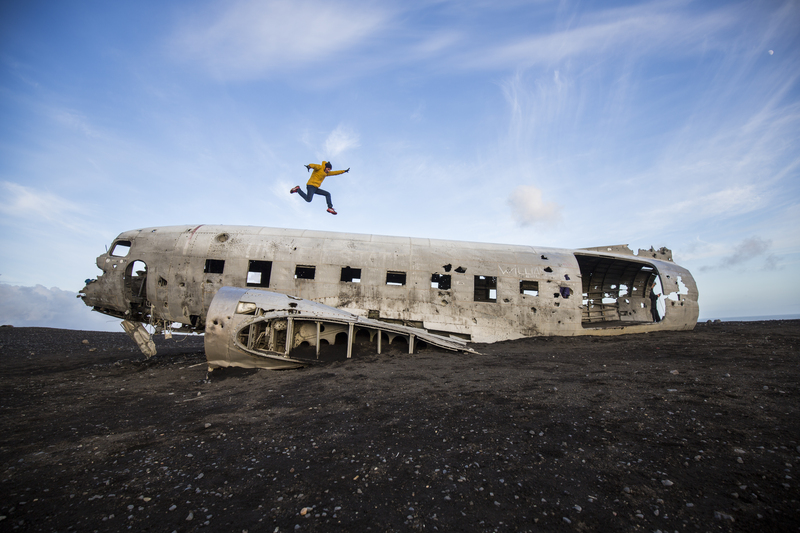 Abandoned wreckage on a black sand beach in Iceland. 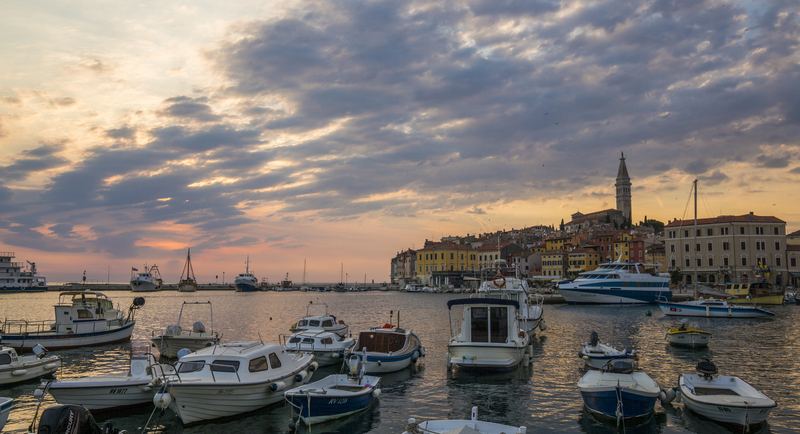 Sunset over the small coastal town of Rovinj, Croatia. 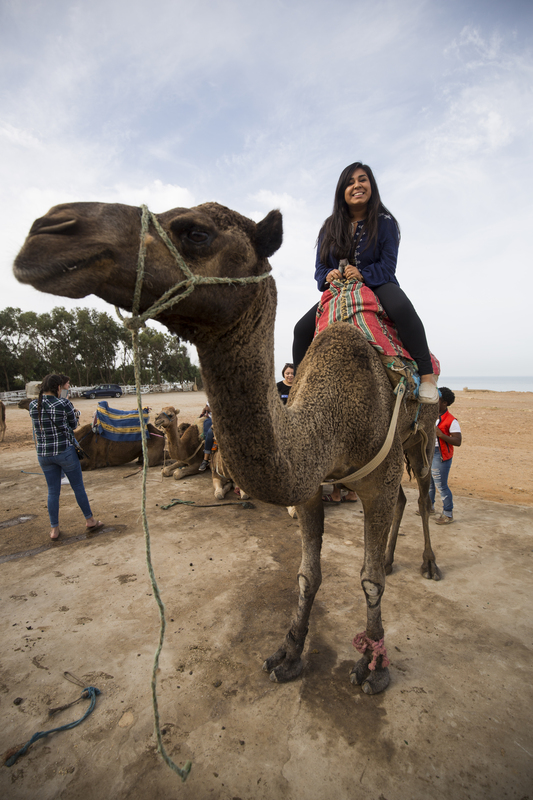 Riding camels on the school trip to Morocco. 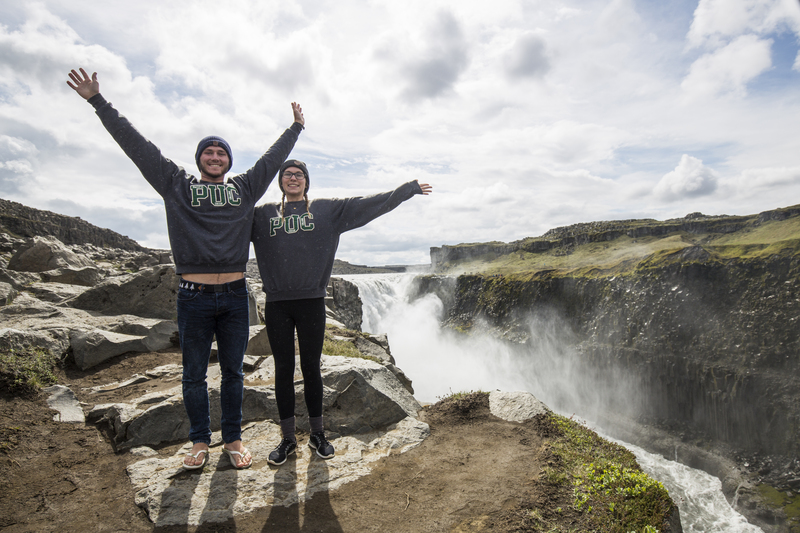 Reppin’ PUC above the most powerful waterfall in Europe in Northern Iceland. 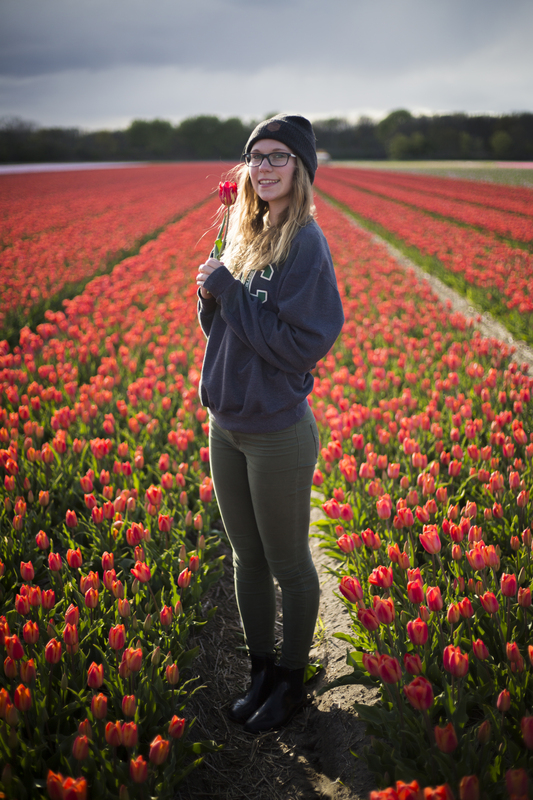 Wandering through the April tulip fields near Amsterdam, Netherlands. 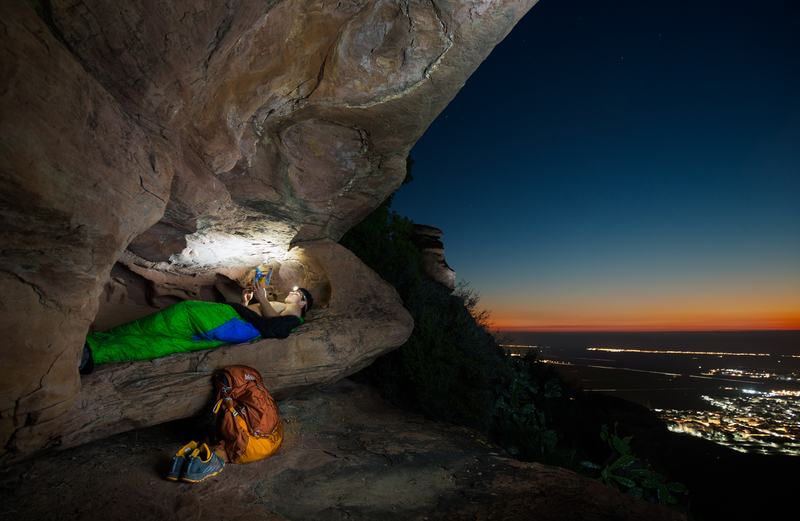 Camping in the hills above the ACA campus in Sagunto, Spain. 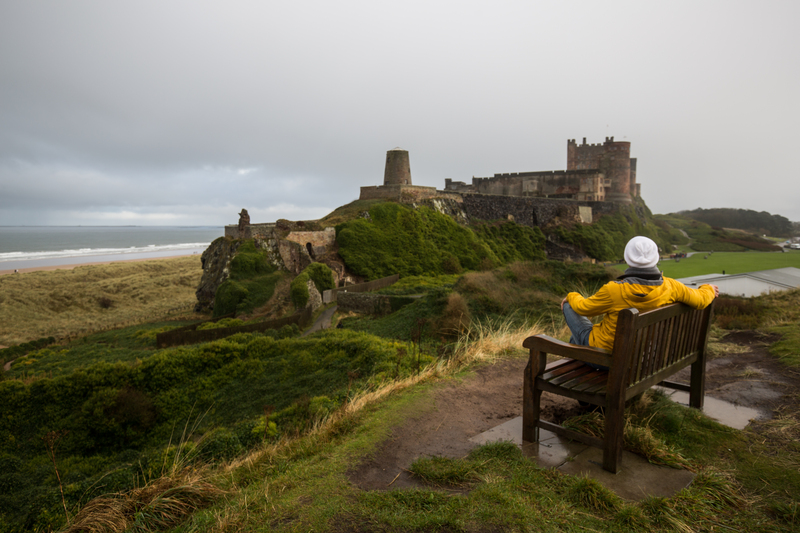 One of the top 10 lunch spots in the UK in the dunes near Bamburgh Castle in England. 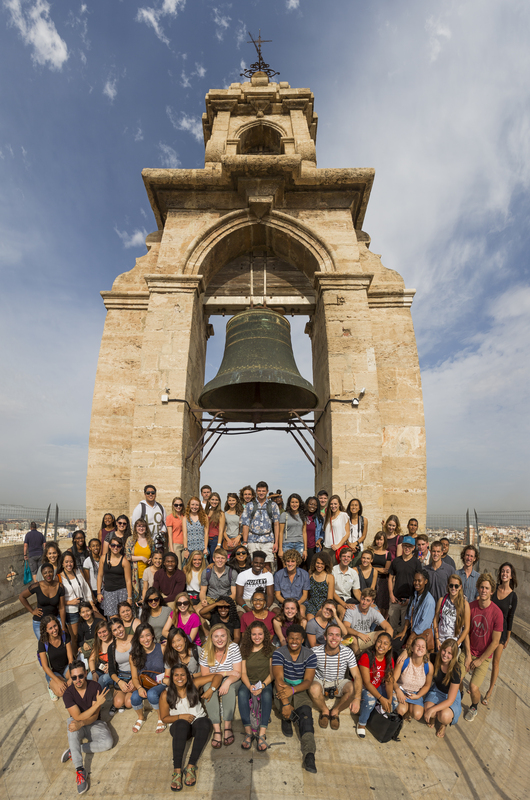 Group photo of ESDES (the ACA program in Spain) on top of the Miguelete in Valencia, Spain. 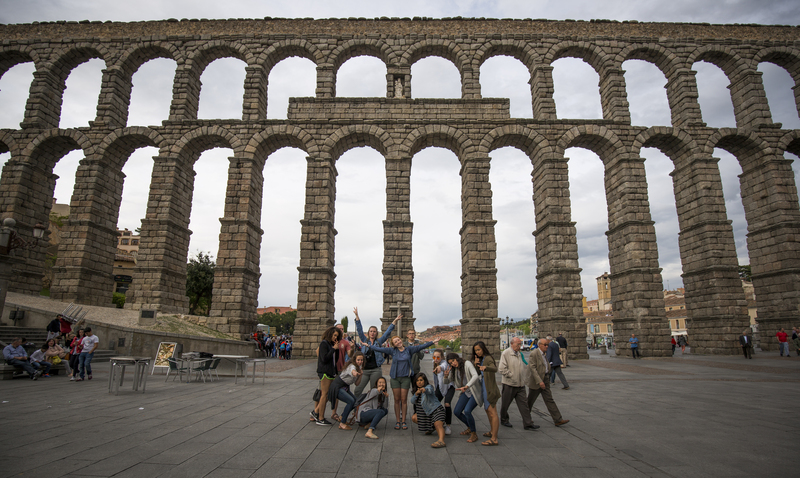 Students on a school trip and locals passing by in the square underneath the great aqueduct in Segovia, Spain. On April 27, 2017, the PUC Church sanctuary was packed full of students, faculty, and staff, all excitedly awaiting the announcement of PUC’s next student-selected Educator of the Year. As PUC tradition states, the winner is a tightly kept secret known only to a few people on campus and is announced at the annual Educator of the Year Colloquy. When Dr. Kent Davis’ name was announced, there was loud and extended applause for the ever popular chemistry professor and department chair. 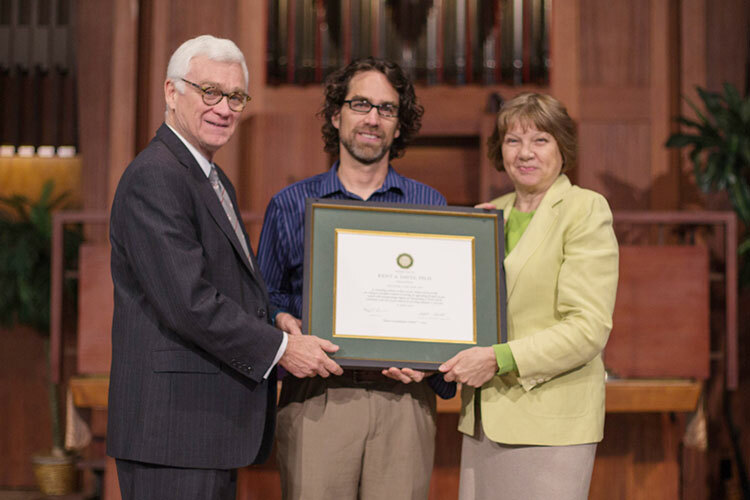 As he sat in the seat of honor on the platform, the audience was treated to funny stories from his wife Rachelle Davis, a fellow PUC faculty member in the department of music, and touching stories from a few close students. Not everyone has the privilege of taking classes from Dr. Davis, so we asked him a few questions to get better acquainted with the man behind the 2017 PUC Educator of the Year award. I generally arrive at my office around 8 a.m. I make final preparations for my class at 9 and then go teach it. Afterwards I talk with students, make assignments covering the material from class, do other administrative tasks, or just relax for a bit. I often spend the noon hour in wind ensemble or chorale rehearsal before going back the chemistry offices to get ready to supervise labs for the afternoon. When you were younger, what was your dream job? Is teaching similar? I don’t know if I had a “dream” job, at least after the firefighter, astronaut, zookeeper, etc., stage of early childhood. I started college as an engineering major and switched to chemistry after my first year. My 20-year-old self would be horrified at the idea of standing in front of people and speaking out loud for a living. So no, teaching is, in that way at least, about as far from what I would have expected as possible. How did you end up teaching chemistry at PUC? My wife, Rachelle, was teaching music at Washington Adventist University (then Columbia Union College) and I was teaching as an adjunct professor at a Catholic women;s college in DC. The position in chemistry at PUC opened with the likelihood of a soon to open position in music and we decided to come to PUC. My wife, Rachelle, is a violinist who teaches in (and chairs) the department of music at PUC. Our elder son, Ethan, is a freshman at PUC Prep and our younger son, Benjamin, is a fifth grader at PUC Elementary. We have two dogs, Sammy and Gigi. We hear you love to bake. What is the most delicious thing you’ve ever made? I’m fairly critical of anything I bake so I don’t think I’d apply terms like ‘most delicious’ to things I made but I make a pretty good loaf of bread. We got a bread maker as a wedding present and I started there but soon got into sourdough. I’ve had my sourdough starter for about 20 years now. I feed and water it daily kind of like a pet (that I plan to eat). 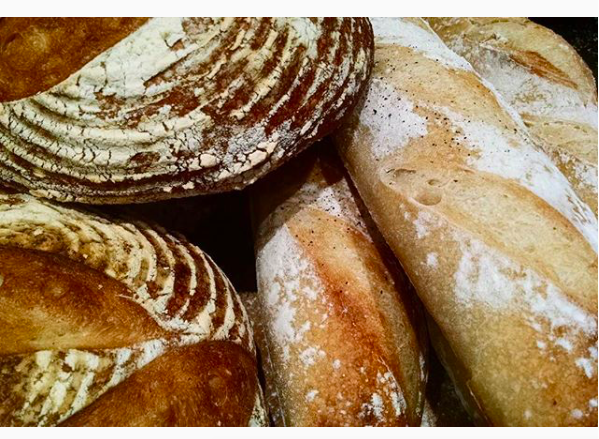 The sourdough experience has led me to explore other uses of bacteria/yeast cultures in food like cheesemaking. I wouldn’t say I’m an expert and many cheeses need to age for several months which makes experimenting difficult. But a nice dollop of fresh homemade goat cheese on a slice of freshly baked sourdough is quite enjoyable. In another twist my 20-year-old self would be surprised to learn, since coming to PUC I have become a runner. In 2016 I ran over 1,000 miles and in 2017 I have run about 800 miles so far. The trails in PUC’s forest, the adjoining state forest, and the ridge between Angwin and Calistoga are great. I try to be out there around dawn, when I think it’s at its most beautiful. I also enjoy traveling. I’ve visited all 50 states and, in the last few years, I’ve been in Sweden, Costa Rica, the Philippines, South Korea, Thailand, Cambodia, Taiwan. “Big Chicken” by Maryn McKenna is about how antibiotics changed agriculture and the way we eat. I just finished reading “The Boys in the Boat” by Daniel James Brown to my sons. Currently I’m reading “Hillbilly Elegy” by J.D. Vance and “Eating Animals” by Jonathan Safran Foer (inspired by “Big Chicken”). I don’t usually give a lot of thought to what mix of books I read at once but it surprises me a bit that none of these recent selections are fiction. What does it mean to you to be named the 2017 Educator of the Year? I very much enjoy teaching so it is its own reward, but it’s very nice to hear from others that they think you’re doing a good job. On the one hand, I think since I’m Educator of the Year I better show why by being better at the parts of teaching I hate (like grading). On the other hand, I feel a little freedom to experiment more with my teaching (as in can I teach physical chemistry without lecturing). Seeing my students grow and learn and become successful is very satisfying. Talking about hard problems and seeing students struggle (along with me) and gradually catch on is also a lot of fun. What is your favorite thing about PUC? The location. I run in the forest and along mountain ridges almost daily. I walk to work every day. Most people at PUC live close by so it’s a real community in a way most other places I’ve worked have not been. Why should someone choose to study chemistry at PUC? We have a long history of students having success in achieving their goals. If you do well in chemistry (or the sciences in general) at PUC, you will be well situated to do well in medical school, dental school, pharmacy, or doing study in science at a higher level. You knew it was coming—is PUC the best school to study at to get into Loma Linda medical school? To get into any medical school requires dedication to study, ability to avoid of distraction, capable and available teachers, and a culture among your classmates that supports excellence. I think PUC has that. Of course, students who find these less important than the ease of getting to Taco Bell or luxury living accommodations probably may not be PUC material but those values suggest they might not be getting into medical school anyway. Students, keep an eye on your PUC email inbox! Soon you will receive information about how to nominate a professor for the 2018 Educator of the Year award. For this week’s #FacultyFriday feature, meet Dr. Robert Wilson, associate professor of chemistry. 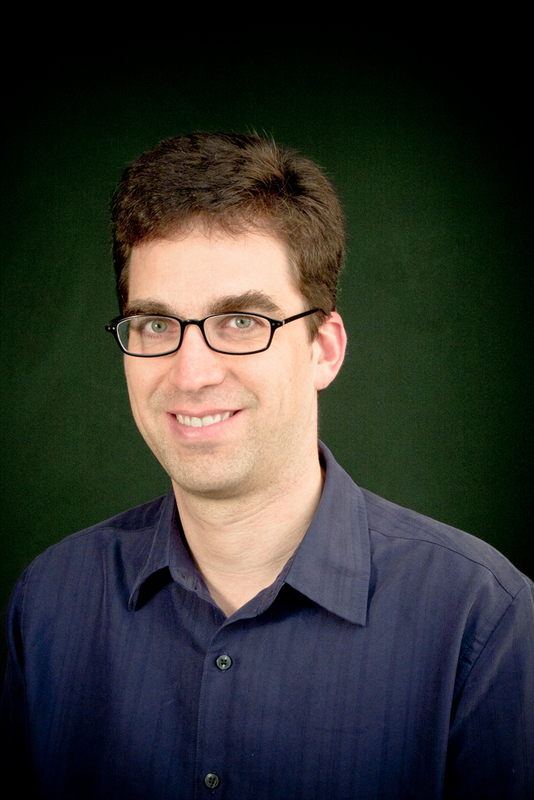 Dr. Wilson has taught at the college since 2012 and specializes in analytical and inorganic chemistry. 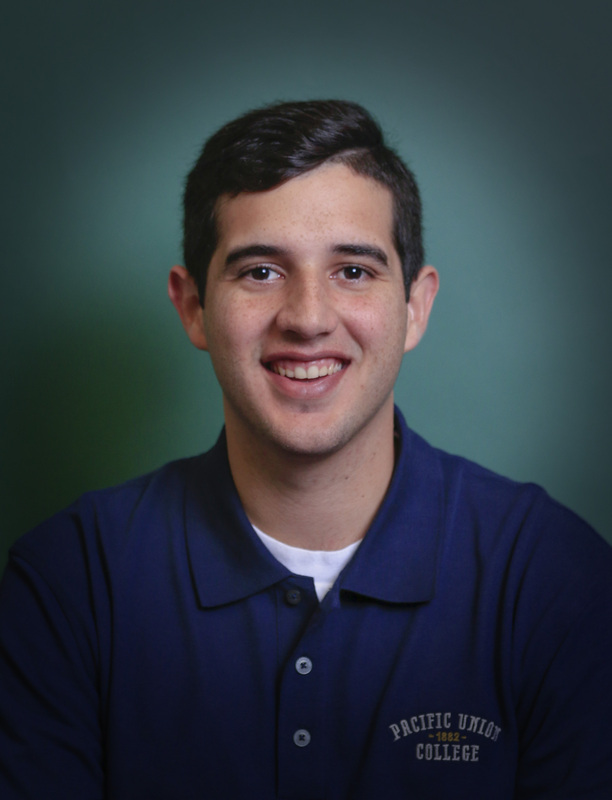 Previously, he worked at the University of Illinois at Urbana-Champaign as a teaching assistant and graduate assistant, and at Andrews University as a laboratory assistant. 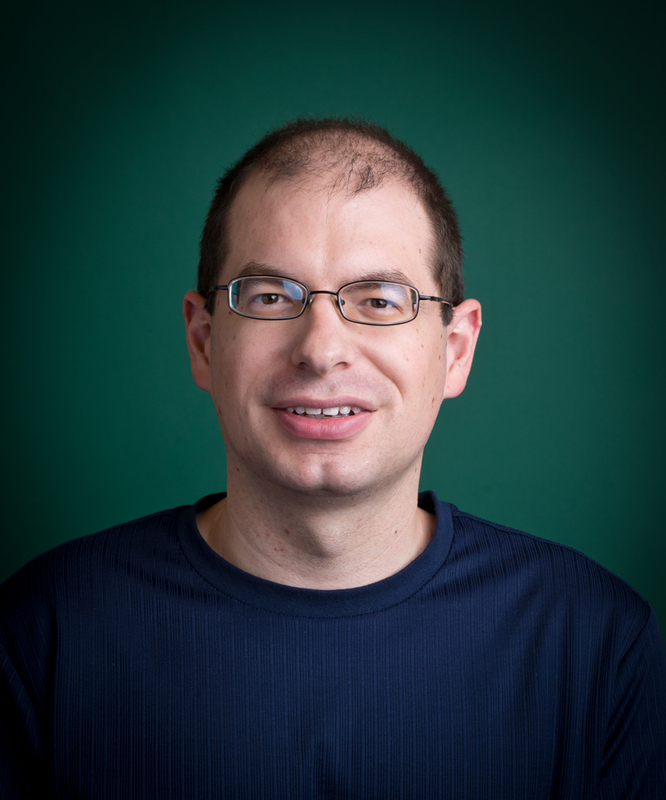 While he was at the University of Illinois at Urbana-Champaign, Dr. Wilson participated in several research projects, and his graduate research focused on the lipid and protein organization within the cell membrane. Stoffregen, S. A.; McCulla, R. D.; Wilson, R.; Cercone, S.; Miller, J.; Jenks, W. S. “Sulfur and Selenium Ylide Bond Enthalpies” J. Org. Chem. 2007, 72, 8235-8242. Merga, G.; Wilson, R.; Lynn, G.; Milosavlevic, B. H.; Meisel, D. “Redox Catalysis on ‘Naked’ Silver Nanoparticles” J. Phys. Chem. C 2007, 111, 12220-12226. I planned on doing research in the chemical industry; however, I had always enjoyed the academic environment. I was told of an open position here at PUC and applied. I am really happy I did. I have a pilot’s license. The family-like atmosphere and tall trees. Study early and often, but never on Sabbath. This is what helped me the most in college and graduate school. Interested in learning more about PUC’s chemistry program? Visit puc.edu/admissions! Where’d all the dishes come from? Rooming with someone we don’t know particularly well can leave us at odds: stressed out, worried, and full of anxiety! We take our space seriously, and rightfully so, but it can be especially difficult when two individuals’ habits and behaviors collide. The truth is, you will probably have more than one roommate during the course of your life, and why not learn to overcome some of those obstacles now? 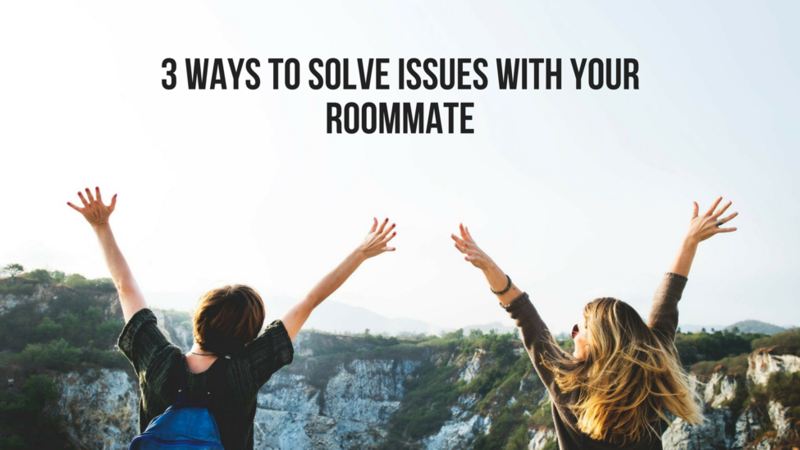 It is a journey of the most rewarding kind to learn how to better communicate and navigate possible issues that might arise while having a roommate. Take on this mantra to have a better relationship with your roommate: Strategize more. Stress less. The most critical part of being a better roommate is to communicate your feelings clearly, even if it might seem out of your comfort zone to be assertive and ask for things you need. The bottom line is half of the room is your space, too. You must speak up if something is bothering you because allowing problems to pile up can only hinder the initial jump into better communication. Each person has a different set of idiosyncrasies or behaviors that are particular only to them. Many are not acutely aware of these behaviors, which can create a perpetual cycle of bad habits. How then would you tell your roommate what they’re doing is driving you nuts? For one, compose yourself and have a conversation with your roommate so they can begin correcting certain behaviors they might be unaware of. Talk to your roommate before the end of the semester. Not only will the issues between you and your roommate pile up, but also finals will pile up, creating even more stress and tension. If this doesn’t work and you are desperate to solve the issues between you and your roommate, talking to your resident assistant (RA) and asking them to mediate is advisable. Again, one of the most important actions you can take to have a better relationship with your roommate is to communicate earlier rather than later. One way you can streamline the communication process is to start setting boundaries which keeps both you and your roommate accountable. Who’s going to clean the dishes on what day? Who’s going to clean the bathroom? Who’s going to replenish the paper in the printer? Who’s going to vacuum? There are a lot of responsibilities you don’t necessarily think of when it’s just your space, but now that someone is living three feet away from you, it’s time to start thinking strategically how you can accomplish all the tasks without having to remind each other. One way you can accomplish and share some of these tasks is to create a calendar both you and your roommate can visibly see. Undoubtedly, you and your roommate will have issues. And this is what we have to say about that: Strategize more. Stress less. Don’t let the actions of your roommate affect your attitude and happiness elsewhere. It’s easy to take that tension outside of the room and vent about it to your friends, but most importantly, what does that say about yourself and your communication habits? How you talk about your roommate to other people may instill a set of bad habits in yourself, which could reflect poorly on you. If you’re complaining about your roommate’s habits and behaviors instead of choosing to tackle them in a straightforward manner, others may think you can’t solve issues with them, or worse, your friends may think you’re bad mouthing them too! Keep the annoyances of your roommate out of the conversation and focus on how you can solve them privately. Learning to talk one on one with your roommate will help you be a more positive individual and possibly learn to like your roommate! We tend to like people who listen to us and are able to effectively solve issues together. Let the strategy in your dorm room affect how you become a better overall communicator.